We give a characterisation of languages on infinite alphabets in a variant of nominal regular expressions with permutations (p-NREs). We also introduce automata with fresh name generations and permutations (fp-automata), inspired by history-dependent automata (HDAs) and fresh-register automata. Noteworthy, permutations require to deal with dynamic context-dependent expressions. 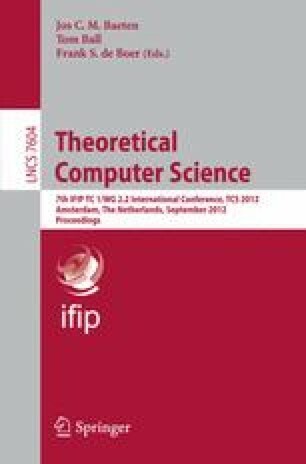 Finally, we give a Kleene theorem for p-NREs and fp-automata to formally characterise languages on infinite alphabets.